Indian telecom landscape at present is a perfect example of how competition improves services and leads to customer delight. Thanks to Reliance Jio, every mobile phone user, no matter what network feels overwhelmed with discounts and offers to choose from. 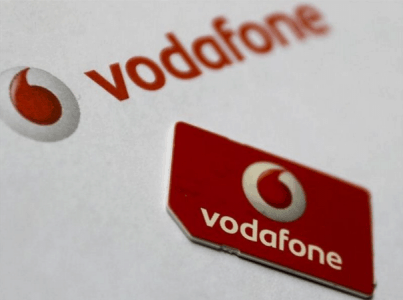 Continuing the streak, Vodafone last week launched three new data packs for prepaid customers that offer reduced rates on recharges during the pack period. The new data packs- one 12-month pack, and two 6-month packs are, however, currently available only for customers in the Tamil Nadu circle. Firstly, the Rs 1,501 pack, which has a benefit period of 12 months. This recharge gives customers 15GB of ‘instant data’ and thereafter in the 12-month period, users can opt for ‘special recharge benefits’ at discounted rates with 28-day validity. 1GB of data will be available at Rs 53, while 2GB of data will be available at Rs 103, and 5GB of data will be available at Rs. 256. The Rs 748 pack, which has a benefit period of 6 months, gives customers 3GB of ‘instant data’. Thereafter in the 6-month period, they can purchase 1GB of data at Rs 106, with a 28-day validity. Finally, with the Rs 494 pack, which again has a benefit period of 6 months, customers get 2GB of ‘instant data’. Thereafter in the 6-month period, they can purchase 1GB of data at Rs 122, with a 28-day validity. “We invite all mobile users in Tamil Nadu to stay confidently connected on Vodafone SuperNet powered with superior voice and internet experience. Vodafone SuperNet services facilitate an enhanced mobile Internet experience for our valued customers with faster download/ upload of videos and music and greater ease in using their favorite apps. Now, customers can enjoy 1GB data at Rs 53 by paying a one-time rental, with these pack customers are offered additional data on prepaid data recharges of 2GB and above, blending quality with affordability,” said S. Murali, Business Head-Tamil Nadu, Vodafone India. We hope the same packs would soon be rolled out pan-India.